Finding the right laptop is a complex balancing act. Shoppers know why they’re going with this class of devices over say, PCs – they want something compact, that’s easy to move around and transport. But the smaller a laptop gets, the more concern there is about whether the components inside can really offer top-notch performance for the money. This doesn’t always have to be the case, but it does illustrate the care buyers must take to ensure they get the best of both worlds. 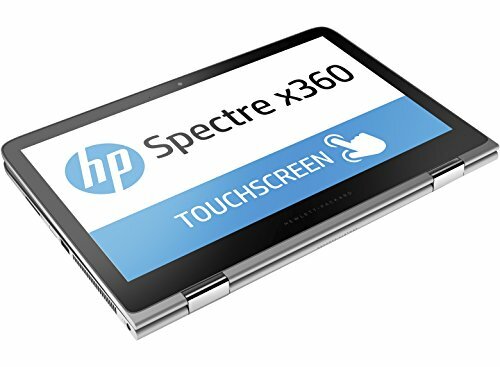 What is the HP Spectre x360? What Does it Offer? 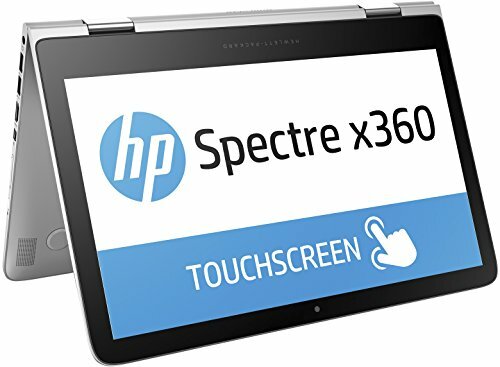 What Specs Does the Spectre x360 Offer? What Makes This Laptop Unique? Is It Special For Its Class? How Does this Computer Compare to the Competition? The right laptop offers that sweet spot between great performance and compact size. For companies like HP, their offerings are plentiful. As one of the leading laptop makers in the entire industry, they have a wealth of different products that check most boxes for buyers. Today, we’re looking at the HP Spectre x360. A thin, powerful, high-quality laptop, this one has gotten some great feedback from previous buyers. We’ll be taking a look at the computer’s construction as well as it’s specs, examining how each contributes to its overall appeal. Built for performance and creativity, the HP Spectre x360 is about giving users a versatile approach to content creation. Using its robust components and multiple modes, users can manage a variety of content and multitask with ease. Stunning style from any angle: Amazingly thin and light in a visually stunning metal body, this convertible PC is a masterful blend of design and performance. Impressive performance. All day portability. Enjoy lightning-fast performance throughout the day on this premium x360 with a longer lasting battery life for your non-compromising schedule. 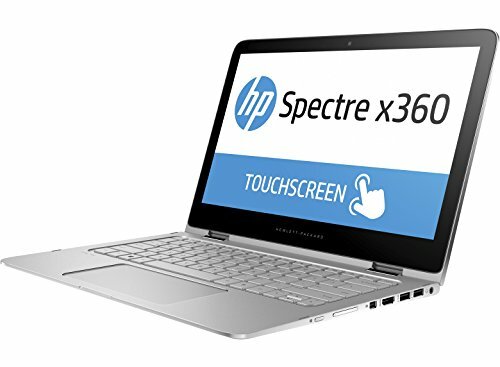 The HP Spectre x360 offers a lot in the sense it’s what buyers aim for in a laptop – it’s not only highly powerful for its size, but it’s extremely thin for its components. The combined power of high-end features and space-efficient design already makes it a solid mid-to-high range laptop. Hovering right around the one thousand dollar range depending on where you’re buying it, this laptop also carries an average price tag for a computer in its tier. The laptop is advertised as “creativity in its most powerful form.” That’s a lofty tag to place on a laptop, especially since the high-end parts needed to support creative practices are much easier to put into a PC than a laptop. But there’s a good reason to have a compact device if you’re creative. Creative types often work as freelancers, and thus travel is sometimes a requirement. In addition, creativity often requires you to go to the project instead of the other way around. For instances like this, having a robust machine you can easily slide into a messenger bag or backpack is very helpful. When we’re talking about the x360, we’re talking about it in its standard form – with a 15.6” display. It also comes in a 13.3” variant, with some minor differences to the specs. But just how do the specs of this machine prepare it for common processes, multitasking, and creative functions? Let’s take a look at everything from the components to the display size and determine exactly what the Spectre x360 offers – and how it’s design contributes to its viability as a solid mid-to-high-range creative-focused machine. With a 15.6” display, this laptop has a pretty big screen. While it isn’t the largest you’ll find for laptops around this price, there’s plenty of display space to see what you’re doing – whether that’s casual browsing and multitasking or high-end content creation. The display size isn’t the only measurement worth noting – it’s 19.45 mm thick. This means it’s one of the thinnest and most compact machines you’ll find for creating content. It’s also only 4.6 pounds, meaning you’ll barely notice it’s along for the ride when you stuff it in your backpack or messenger bag. But what about the processing power? A computer’s processor is its brain, and this plays a big role in how fast it will be as well as how efficient its operations will run. This one has all the processing power most will ever need for normal functions like web browsing, word processing, chatting, and more. The Intel i58250OU quad-core CPU is designed with robust eighth-generation architecture. The result? It’s a quick, response device built to handle modern tasks and balance the load evenly. Compare this with lower-grade processors, which take a core-by-core approach, and it’s easy to tell the difference in practice. Intel’s superior architecture shines, and by balancing the load of what you’re doing between a set of four physical cores the machine can handle almost any task with ease. It runs at a base clock speed of 1.8GHz and can be pushed all the way to 4GHz thanks to the included Turbo Boost Technology. The processor also has an 8MB cache. Graphics matter too, especially if you’re aiming to use the computer for editing, rendering, and gaming. This computer offers powerful graphics, using RX Vega M GL graphical components to put performance on par with big cards like the GeForce GTX 1050. That’s enough graphical power to highlight each of the 8.2 million pixels on the 4K-capable display. Whether you’re just enjoying a video or creating your own content, this comes in handy. There’s also 8GB of RAM, a 256GB SSD, and a copy of Windows 10 Home included. All together, this setup makes for a robust collection of parts that complement one another perfectly. One of the first things most people look for in a laptop is versatility. When a person buys a computer, they may have certain features in mind. Likewise, they may know what purpose they want the computer to serve. But this may change, so it’s valuable to have a computer that can handle any task you want – even when you develop new needs over time. This machine is designed so you can use it in several different modes ranging from the standard laptop set up to a bigger-than-average tablet. The result is that you’ll get a machine capable of doing 4K video editing, inking through touch screen functionality, 3D rendering, photo editing and much more. HP knows that people don’t just need the right collection of specs to accomplish these functions – they need a laptop that can be figured into a comfortable work device. Versatile design makes this machine conducive to a smooth workflow, allowing both professionals and hobbyists alike to manage content with ease. This laptop is also unique thanks to its battery. The device offers up to 16-hours of life on a single charge, which is solid for laptops in this class. Though it is possible for some functions to drain more battery life than others, a lifespan of two-thirds of a day is very helpful. Privacy is another important matter for laptop users to consider. No one likes the thought of their device being compromised, which is why HP takes so many steps to prevent this. There’s a privacy mode with fingerprint scanner and high-end camera, enabling secure logins and easy privacy control for users of all skill levels. It’s also important to note the advanced thermal sensors included to promote coolness. High-performance processes like 3D rendering and 4K video streaming can take a big toll on any machine, and the IR sensor helps to coordinate airflow based on the computer’s temperature – keeping it cool to the touch. Looks matter, too – and you’ll turn heads with this computer’s backlit keyboard. It also makes things a little easier when you’re working with the lights turned down low. Late-night artists will love this feature, just like they’ll love the chance to connect two separate 4K displays to the machine for a full three-monitor total setup. While there are plenty of great specs to talk about with this laptop, that isn’t all that matters to prospective buyers. What about how well the computer performs for what it costs? And, perhaps more importantly, how about the public perception of the machine and the company behind it? As mentioned, the price of this machine tends to hover around the thousand dollar mark. If you go for the upgraded versions, you’ll be able to enjoy an i7 instead of an i5, giving you the benefit of hyperthreading. Higher-priced versions can come in at closer to a thousand and two hundred, but also come with more RAM, VRAM, and SSD capacity. You could shell out roughly around one thousand and three hundred and end up with an eight-generation i7, 16GB of RAM, and 512GB of SSD storage. Either with this improvements or the standard configuration, you’re getting more than enough processing power and graphical prowess for the price. Some of the features, such as the display size and standard storage options may be a bit underwhelming for the product class, but both can be upgraded. The public perception of HP is good – they’re one of the most successful companies in the industry. And while the x360 has garnered a lot of praise for its strengths, it also has some weaknesses. Because it isn’t built for some functions, such as gaming for example, and thus will fall short in those areas. Just as a gaming-focused machine may lag during content creation, this laptop can excel in that area but may require gamers to turn their settings down for smooth frame rates. This laptop is a powerful model, for sure. It offers everything a user could want from a robust processor/graphics combo to a sleek design favoring versatility. 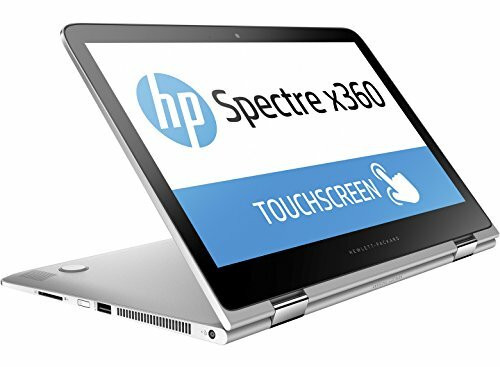 But these design choices aren’t exactly unique – despite the HP Spectre x360 being a very attractive buy, it has plenty of competition that offers similar features. Since many of HP’s models are similar for the purpose of providing consistency based on the product category, let’s look at another brand. Dell is a good choice, and their XPS 15 2-in-1 laptop is a direct competitor to this Spectre. For one, it offers a sleeker design and looks a little more compact. It handles better, but the Spectre excels in certain areas. Features such as the backlit keyboard make for a more comfortable session late at night. The Microsoft Surface Book 2 is another competitor, which, although lacking in as powerful a processor, does better in gaming. For those who are more about spending their free time gaming than creating content, it could be the better option. It all depends on what a person chooses to do with their laptop, but the overall selection of core features is on par with any competitor. The HP Spectre x360 is a great choice, and shows off HP’s commitment to creating robust machines that are space-efficient in their design. The HP Spectre x 360 isn’t shy about what it is – it’s a powerful machine built to save space. But that isn’t all, and it isn’t even the biggest selling point. This computer is built for artistry, and for giving content creators, editors, and professionals the chance to handle their work without a clunky PC. 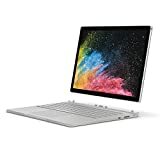 For those who enjoy 4K video editing, photo editing with 3D rendering, and the other complex functions graphic artists take part in, this laptop is a great buy. It may not be quite as small as some others that offers similar specs, but for the price it is hard to beat. A good laptop can offer a bit of performance in all areas and high performance in a few. With this machine you’ll be able to play low-end gaming, enjoy decent battery life, and engage in as much multitasking as the average user would need. Couple this with the high-end rendering and graphical capabilities for designers, and you have a well-rounded machine that isn’t shy about its strengths. Can you do better for the money? Potentially – but as a graphic artist looking for a compact laptop in this price range, it’s hard to find something that offers more value. The HP Spectre x360 is a great purchase, and one any laptop lover could enjoy. From its multiple modes to its touchscreen functionality to its high-end Intel CPU, it checks all the boxes for what a laptop in this price range should have – and offers high-end graphic design capabilities on top. The HP Spectre X360 has performance and creativity integrated into one machine. With its quality, it can be on par with high end laptops with a much higher price. It may not be as small as some others that offer similar specs, but all in all, it is a powerful machine.